The Bhutanese team has exited the ongoing 18th Asian Games in Jakarta, Indonesia without winning any medal. The last Bhutanese athlete, Nima Dorji lost to Pakistan in the Men’s Bantam 56 kilogram category yesterday. Despite fighting neck to neck with the opponent, he lost by split decision of 3-2 scores. The Chef de Mission of the Bhutanese contingent, Nim Dorji said the Bhutanese athletes have given their best. 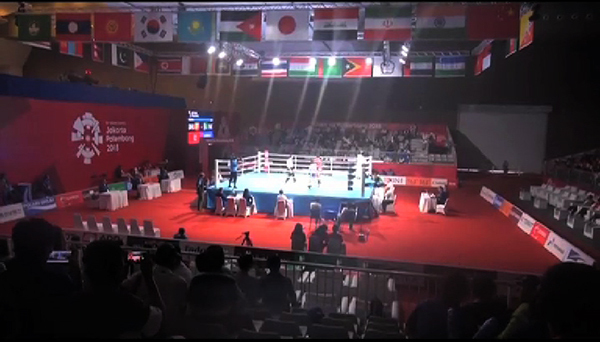 On Sunday, two boxers’ men and the lone woman boxer were eliminated from the boxing event. The Compound Men’s Archery team was eliminated by Iran with 217 to 231 total score. Similarly, the lone golfer representing the country saw his ranking drop from 40 in the initial round to 68. There are 85 other golfers taking part in the games. A total of 24 Bhutanese athletes in archery, boxing, golf and taekwondo took part in the games. The Asian Games is a continental multi-sport event held every four years. Athletes from 44 other countries are taking part in this year’s game. Bhutan has participated in the Asian Games since 1980.